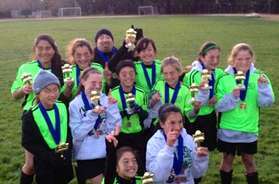 AYSO Region 1344 has players and volunteers from Brisbane, South San Francisco, Daly City and San Francisco. We work hard to benefit all the children who want to play soccer. Everyone plays and everyone is a volunteer. If you want to have fun enriching children's lives, then this Region is for you! We want everyone to play regardless of age or ability. Follow the link above to access incident report forms and insurance information. Click on the link above to watch the parent orientation video.